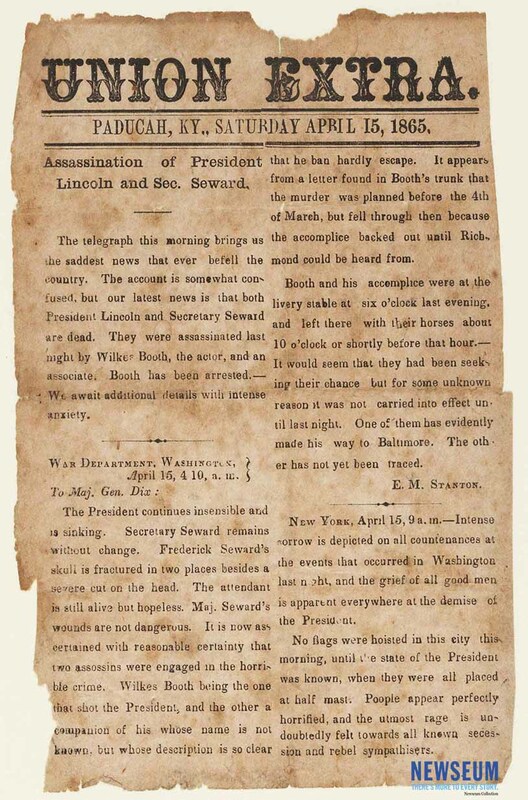 This broadside extra reports on the assassination of President Abraham Lincoln. It falsely states that Secretary William H. Seward was killed and that John Wilkes Booth was arrested. The broadside contains a 4:10 a.m. dispatch from Secretary of War Edwin M. Stanton to Major General John A. Dix with the latest information. There is a report from New York describing the public's grief and the rage "undoubtedly felt towards all known secession and rebel sympathisers [sic]."